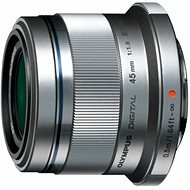 The ZUIKO DIGITAL ED 17mm ultra thin lens is suitable for everyday reportage and documentary photography. 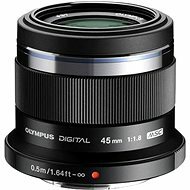 The lens has excellent optical properties, quality mechanical construction, and is made from high-quality materials. The five-blade circular aperture achieves natural and smooth background blur for beautiful images. With its compact size of 22mm and a weight of 71g, it is the ideal travel companion. OM-D E-M1, OM-D E-M1 II, OM-D E-M10, OM-D E-M10 II, OM-D E-M10 III, OM-D E-M5, OM-D E-M5 II, PEN E-P5, PEN E-PL5, PEN E-PL6, PEN E-PL7, PEN E-PL8, PEN E-PM2, PEN-F Done! 71 g (71 g) Done! 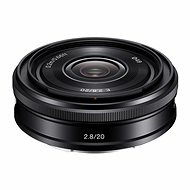 For shipping to other EU countries visit this page M.ZUIKO DIGITAL ED 17mm Pancake black. Für Versand nach Deutschland, besuchen Sie bitte M.ZUIKO DIGITAL ED 17mm Pancake schwarz f/2.8. Chcete doručit zboží do Česka? Prohlédněte si M.ZUIKO DIGITAL ED 17mm Pancake black f/2.8. Chcete doručiť tovar na Slovensko? Prezrite si M.ZUIKO DIGITAL ED 17 mm Pancake black. Für Versand nach Österreich, besuchen Sie bitte M.ZUIKO DIGITAL ED 17mm Pancake schwarz f/2.8. Magyarországra történő kiszállításért tekintse meg ezt a termékoldalt: M.ZUIKO DIGITAL ED 17mm Pancake black.